I think about people having stages with Christmas. When you're young, it's this wonderful thing you look forward to all year. When you get older, you start getting jaded and grudgingly go to visit people when you'd rather be in the dorm, or your new house or apartment. And then there is the stage where you accept that it's going to happen and you make the most of it. I've finally hit that last stage with Otakon. 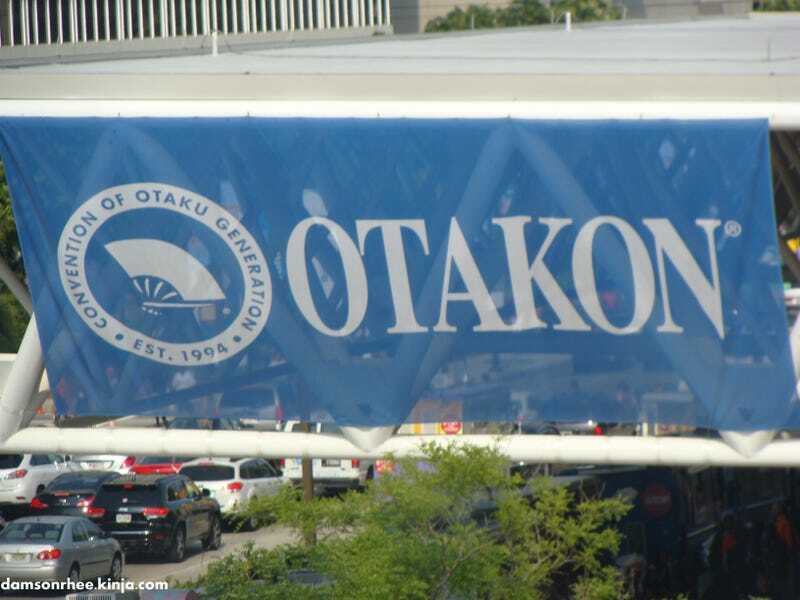 Last year, I wrote a post where I started to see the faults with the whole system, but this year I just embraced Otakon for what is was and enjoyed myself more than almost any other year. Let me start by saying that I was lucky. The hours of waiting in line didn't happen to me this time. I got in the registration line when, yes, I waited, but it was the beginning of the internet troubles that apparently got to be horrendous. In fact, Otakon issued an apology because of it. I waited in only 3 lines at the actual con, and they were all worth it. Why wait in line? Because I had some of the coolest experiences once I reached the end. The first one was for a chance to meet the one and only Yaya Han! I have heard horror stories about Yaya, but she was nothing but nice and sweet to everyone she interacted with. She also would talk with everyone in cosplay and ask who they were (if she didn't know) and how they made certain things, and gave tons of encouragement. I regret not being in cosplay, but she was still really nice...I think...I might have geeked out a bit. And on the plus side of being in line for a while was interacting with everyone there, including an amazing Princess Kenny cosplayer, who we snapped a pic of after seeing Yaya. Turns out she had a Kyle with her too! The second line was for a panel my husband's cousin was part of, that talked about ramen. It was a lot of fun, and of course, made everyone extremely hungry and we dashed off to dinner afterwards. And the last line was the most special. A few weeks ago Otakon started entering people in a drawing for their Sunday concert. The performer was Yoshiki, a member of X Japan. I entered on a whim and actually won tickets. What I didn't know was that Yoshiki on his own didn't play "metal" music like X Japan does, but instead plays some of the most beautiful classic music I've ever heard. It's hard to describe this experience. It was sad and happy and amazing. I knew very little about this man, or even X Japan honestly. Other than a few songs I haven't been exposed to them much. Hearing the stories of the group getting together and breaking up and deaths of members and Yoshiki's own father made the songs have so much weight. He cried, we cried. He made jokes about his new haircut, we laughed. He brought out 2 other members of X Japan, we lost our minds. I use "we" in a very literal sense. I've never felt so connected to the music or the crowd or the performers. Saying it was a magical experience sounds cliche, but that's what it was. It's something I'll always remember. But what's Otakon without the usual stuff?! Coplayers, anime, and the Dealer's Room! I didn't actually get a lot of cosplay pictures because this year I watched a lot more anime. My favorite was getting to see the One Piece movie on the big screen. Sure, the fact that it was dubbed sucked, but it was such a fun, beautiful thing. And picking Witch Craft Works to watch was my greatest random find since Hayate a few years ago. It's hysterical and cute and I'm sure will continued to be watched since coming home. Also, like most years, there was a Lupin movie watched. Lupin is one of my husband's favorite anime (after One Piece), so we make a point to see the movie every year. And then there was the Dealer's Room, where many kawaii and chibi things were purchased! And a few other things too. Those last two prints are by Tsaoshin. There hasn't been a year where I haven't gotten something from his booth. It was a very One Piece year. Although that Tonberry is going to look adorable on my phone with my Squall charm (named Squally). And hopefully there will be a little post with that Chibi-Arts Tony Tony Chopper...if I can stop playing with him and get the pics on my computer. So...now that this year is over and hotel registration will go up for Otakon 2015 this week, who's coming with me next year? !